Several characteristics of the heat sink. 2x Alluminium VGA PC Blue Heatsink Units. Mini Alluminium Heat Sink. Material: Alluminium & Conductive Heat Tape. Colour: Blue. Top: 18mm x 13mm. 30 x Heatsink Copper Shim. It can be applied to HP, Dell, Acer, Thinkpad and all laptop and computer heatsink solution! The copper has high purity coefficient of thermal conductivity as high as 407 w/ (m•K). The material outside the product adopts the full anode process to maintain the durability of the surface texture. Surface material: aluminum-magnesium alloy. checkout, it can't be changed once order completed. Material : Copper;Color : Copper Tone. 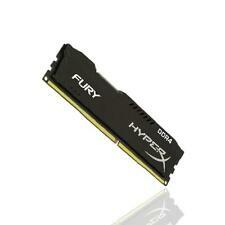 Dissipates RAM heat to improve its performance. Solid copper construction, easy to install. M.2 aluminum SSD heatsink cooling fin. - Material: Aluminium. - Heat Dissipation Effect: 32-36 Degree. - It does not require power, and its simple design ensures no noise or malfunctions. Built-in RGB lighting components, 6 LED lights, the light source can cover the entire cold head, the lighting effect is better. 2 Thermally Conductive Silicone Pad. Product Model: RAMLA. Color: Black. 2 x Heatsink. Due to the difference between different monitors, the picture may not reflect the actual color of the item. Color: Silver. There are two different sizes heatsinks. 2205 heatsinks: 22x22x5mm, 2210 heatsinks: 22x22x10mm。. - The heatsinks include heat conductive adhesive for optimum heat transfer. 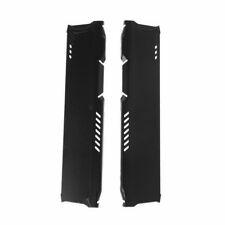 - These heatsinks are long lasting and have good performance on heat dissipation. 20X(Product Name : Memory Heatsink;Material : Aluminum Size : 12.6 x 2.7 x 0.7cm/ 5" x 1.1" x 0.3" (L*W*T) Color : Blue Net Weight : 38g Compatible with all standard SDR/DDR SDRAM. Effective size fits all motherboard. Easy installation with spring clips. Come with conductivity thermal adhesive tape. The material outside the product adopts the full anode process to maintain the durability of the surface texture. Orders placed on weekend will. checkout, it can't be changed once order completed. best give a satisfied solution. The heatsinks include heat conductive adhesive for optimum heat transfer. 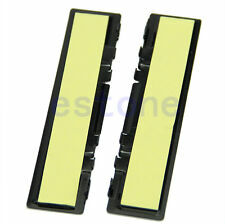 - These heatsinks are long lasting and have good performance on heat dissipation. Just buy it! Don't just think about it! 1 Piece Copper Cooling Fin Heat Sink. 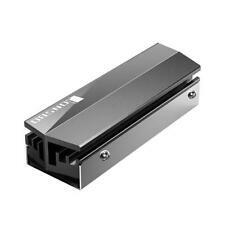 - Dissipates RAM heat improving its performance. - Color: Copper Color. - Material: Copper. A 3-year warranty is promised, your satisfying is our ultimate pursue. Improve RAM performance and avoid system crash by dissipating access RAM heat. Material: Aluminum Alloy. Color: Blue / Silver / Black (Optional). Quantity: 1 Set. Size: 13×2.7cm/5.12×1.06in (Approx. ).